Happy Shoesday Tuesday! 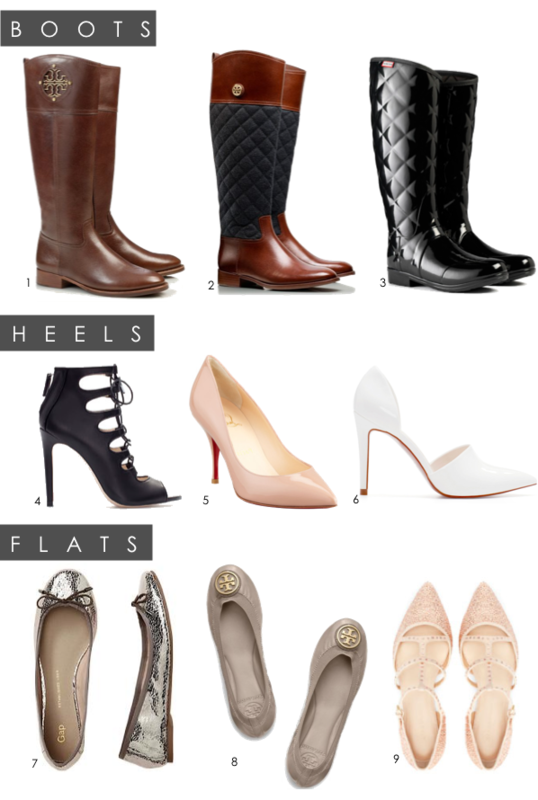 Today I thought I'd share with you some of the gorgeous shoes I've been coveting lately. I spent about two hours on the Tory Burch website last night humming and hawing over their boots and their flats trying to decide if I should bite the bullet and order them, I did end up making a couple purchases but unfortunately nothing for me (that's right Christmas shopping has begun). Also how amazing are those GAP flats, and definitely budget friendly. There's nothing like a good pair of shoes to lift a girls spirits mid-week, happy Shoesday!! Thank you for stopping by and have a wonderful Tuesday!